Englishman Will Fleming is a handsome young artist who has been commissioned by the British government to record the changing landscape in paintings. His path intersects with Emma’s when his real mission—tracking Nazi spies—leads him to Danesfield House, the target of a sinister plot. Emma and Will become friends, but neither can reveal the true nature of their assignment. Can their relationship grow amid such secrecy? And can Will save Danesfield House—and Emma and her coworkers—before it’s too late? World War II is a very interesting time in our history to read about. Tricia Goyer’s A Secret Courage is a fascinating story set during that time. This intriguing story is a great mix of war-time strategy, spy activity, and romance. The characters are complex and realistic and interact well to keep the story moving at an engaging pace. There are plenty of twists and turns mixed in with a well-developed story to make this book a hard one to put down. One of the perks of reading from an author like Tricia, who does awesome research and mixes fact with fiction, is the chance to learn some details of history. This story was my introduction to the Photographic Reconnaissance Unit and their important work during WWII. 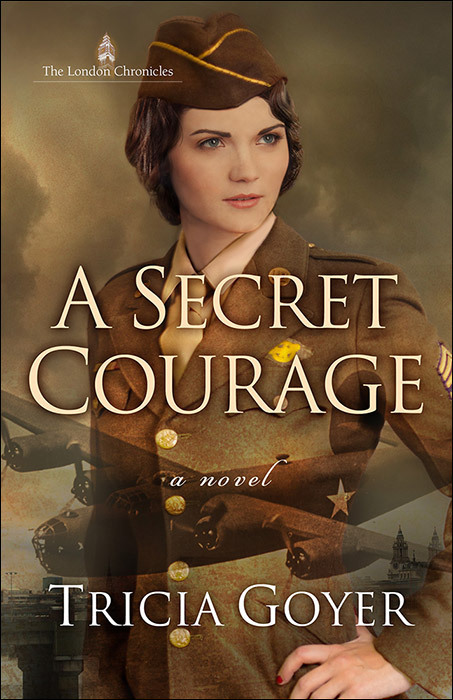 Fans of great WWII stories and inspirational romance should enjoy A Secret Courage. I’m looking forward to what comes next in The London Chronicles series.